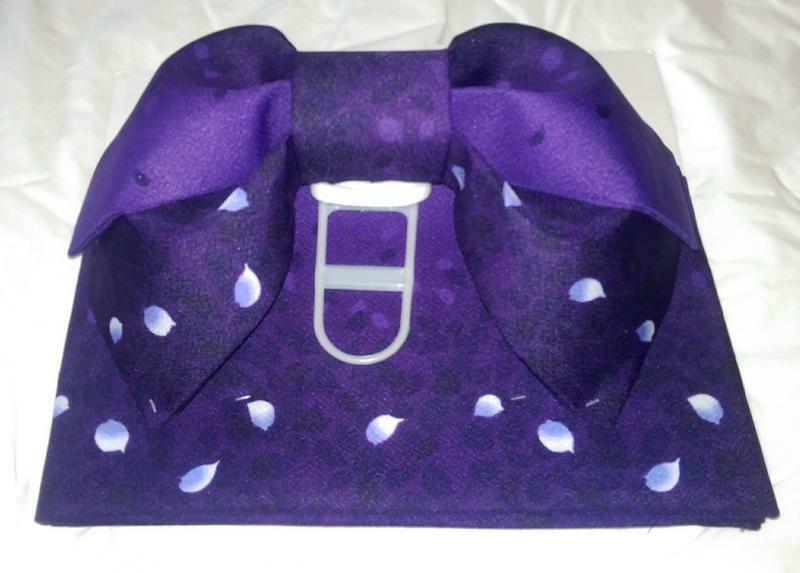 Please see below pre-tied obi for easy kimono kitsuke (dressing). These pre-tied obi are perfect for yukata and informal komon kimono. 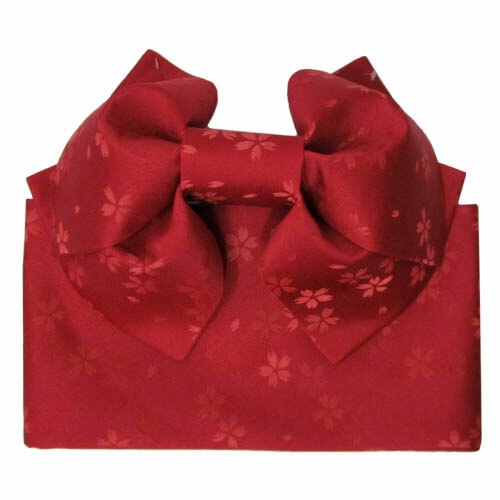 This obi is pre-tied in a "cho-cho" musubi or butterly knot, with a cherry blossom damask pattern. 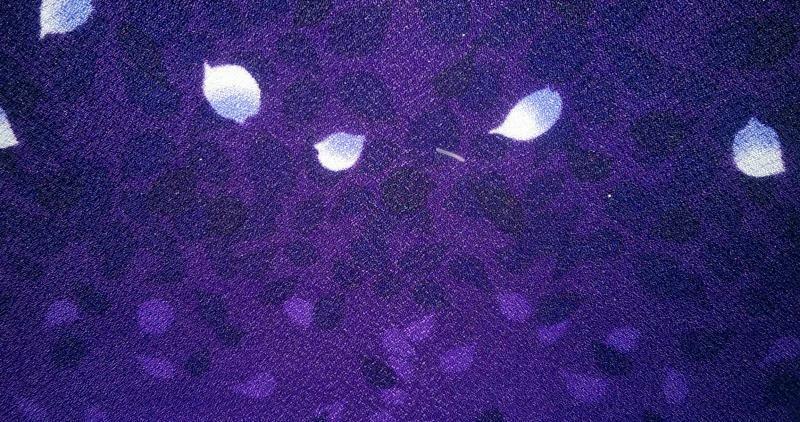 Purple pre-tied obi in the "cho-cho" or butterfly knot, with white flower petals. Copyright 2011 Kimono USA. All rights reserved.